Faxing is an out-dated mode of communication, but it still lingers around at some places for one reason or another. Until we can finally kill off this antiquated machine of the past, you might need to send a fax every once in a while but find yourself without a fax machine — try HelloFax. We have covered HelloFax briefly in the past, and even took a look at 5 other online fax services 5 Free Online Services for Sending Email to a Fax Machine 5 Free Online Services for Sending Email to a Fax Machine How can you send a fax without a fax machine? All you need is a PC and any of these free online fax services. 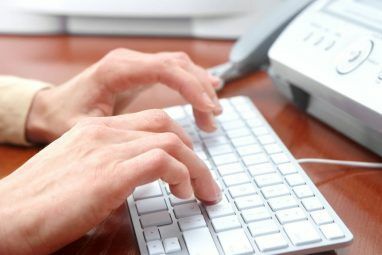 Read More , but things have changed in the years since then, and it’s time to take an in-depth look at the best free online faxing service there is. You can use the HelloFax website, the Google Docs Add-on, or the Chrome app. They even have an app in the Google Apps Marketplace for businesses who want to deploy this service to all their employees. For now, let’s focus on the website and Chrome app, which are identical enough to be treated as one entity. The first step is to create an account or sign in with Google — the latter option having some nuanced pros and cons Google+ Sign-In: Is It Bad Or Good For You? Google+ Sign-In: Is It Bad Or Good For You? Users are beginning to accept the fact that Google may not be rolling back Google+ sign-in regardless of how much people hate it. But is it really as bad as you think? Read More for most of us. After that, the journey is relatively easy and straightforward. Upload your document from your computer or grab it from one of the integrated cloud services: Dropbox, Google Drive, Box, Evernote, or OneDrive. From there, you have the option to edit or sign the document. Editing it allows for placing checkboxes, adding text, or adding the date. It’s perfect for adding last touches of information before you send off the fax. Signing is extremely easy and there are several different ways of doing it. You can draw it with your mouse (or finger or stylus if you have a touchscreen), type it in and use one of their fonts, upload an image file of your signature, or email a photo of your signature. It couldn’t be easier or more intuitive. This functionality comes from HelloSign, another product by HelloFax, which we’ll go over in a bit more detail later. Once your document is all ready to go, simply type in the fax number. You’ll then be given the option to attach a brief cover page, which, for free users, will say “Sent via HelloFax” on it. They also provide the option of having a high resolution color version of your fax hosted temporarily online for 72 hours with the fax-receiver getting a specific URL and access code to get to it. After that, click send, and you’re all done. You should get a confirmation email after sending, but this can be adjusted in the Notifications section of your HelloFax settings. HelloFax will also keep a record of all your drafts and sent faxes under the Documents tab on the left side. 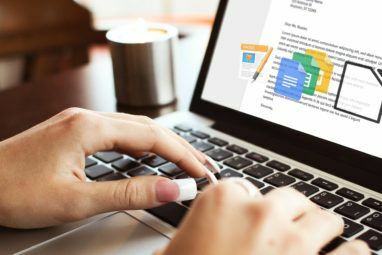 If you do most of your work in Google Docs already and want to send some of it out as a fax, the new Google Docs add-on makes the process ridiculously easy. Download the add-on first, then select it from the Add-ons menu at the top of the Google Doc you want to send and click Send Fax. A sidebar should then pop up on the right side. Enter in the fax number, type out a short cover letter if you want, and click send. Without even having to leave your Google Doc, you’ve already sent it off as a fax. How Much Does HelloFax Cost? The free version of HelloFax allows you to send 5 fax pages per month. It then goes to a $9.99 per month Home Office plan with 300 faxes per month, a $19.99 Professional plan with 500 faxes per month, or a $39.99 Enterprise plan with 1,000 faxes per month. All paid tiers include the ability to receive faxes, which is not available in the free version. The number of pages indicated includes both sending and receiving. They also offer discounts if you pay annually rather than monthly. HelloFax also doesn’t play around when it comes to security. You can read their full policies on their website, but in brief, HelloFax uses SSL encryption to keep your data safe, and they don’t store any credit card information. All your faxed documents are protected behind AES – 256 bit encryption with a unique key that is also encrypted with a rotating master key. All credit card information is passed on directly to Stripe, a verified and secure payment processing service, and your credit card information isn’t stored on HelloFax’s servers. Basically, they’ve got you covered. While signing functionality is built in to HelloFax, they also have a separate service just for signing and emailing documents called HelloSign, which we’ve covered before HelloSign: Use Electronic Signatures On Documents [Web & iOS] HelloSign: Use Electronic Signatures On Documents [Web & iOS] Read More but will go more in-depth here. The interface is nearly identical to HelloFax except that you can only send to emails, not fax numbers, and it gives you the option to download the file before sending it. If you’re only concerned about signatures, and less so about faxing, HelloSign could work well for you. You can also have other people sign documents for you through this service, but they’ll have to make an account for it. 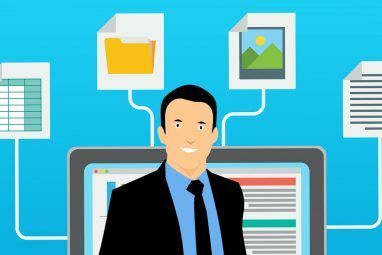 The free version allows for 3 documents a month, but a business version is available for $30 a month that allows for unlimited documents and has extra features. Unlike HelloFax, HelloSign has both iOS and Android apps, making it a much more mobile service. They also have a Gmail functionality that allows you to sign documents from within Gmail. 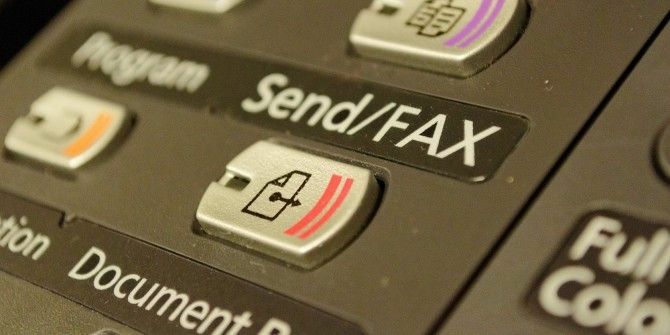 Faxing should soon be going the way of the dodo, but until it does, HelloFax is the best way out there to send faxes online for free. HelloSign is just the icing on the cake, allowing you to sign them on your computer if necessary. What do you think of HelloFax? Any other fax-sending services out there that you would recommend? Let us know in the comments. Explore more about: Digital Document, Fax, Google Docs. I can also recommend online faxing from Popfax, they include the signing faxes feature when sending a fax as well, and it is pretty easy. -By drawing it directly in the Popfax interface- the draw feature allows you to draw your signature with the pointing device or the the finger on touch screens. -By typing it using one of the available fonts. You can use popfax.com so and sell your expensive fax machine. I guess there is no need to pay so much money if you can use a service that is editing , signing and sendinf faxes for yourself. I've been using Faxzero.com - one of the most generous products when it comes with free options. I fail to understand, why should I use this. Can't I use the in-build Windows OS feature called Windows Fax and Scan ? Actually, no. Windows Fax and Scan requires you to be connected to a fax machine. Fax machine or do you mean a fax modem. They are wholly different devices. Fax modem, which most people don't have anymore, unless their computer is rather old. USB fax modems are small (just a dongle), inexpensive, and turn Windows Fax and Scan into a full (virtual) fax machine.